Retina Associates of Florida was founded in Tampa, Florida in 1986 when Dr. W. Sanderson Grizzard joined forces with Dr. Mark E. Hammer to treat diseases and disorders of the retina and macula including macular degeneration, retinal detachments, diabetic retinopathy, vitreoretinal disease, vascular retinal disease, hypotony, eye tumors and complications following cataract or corneal surgery. Drs. Grizzard and Hammer believed a practice focused on a combination of superior service to patients and on-going clinical research would provide enormous benefits to patients and to the field of ophthalmology. Confirming their belief that teaching is also an important component of the advancement of any medical specialty, both Dr. Grizzard and Dr. Hammer served as voluntary clinical professors at the University of South Florida for over 25 years. International Society of Ophthalmic Endoscopy, Inc. 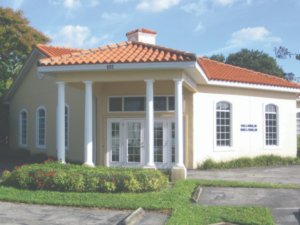 In 2008, Dr. Ivan J. Suñer joined the practice, bringing his 12 years of experience in the evaluation and treatment of serious eye disease and the knowledge accumulated from serving on the faculty of the Bascom Palmer Eye Institute in Miami and Duke University. Dr. Suñer’s background also includes service as the Chief of Ophthalmology at Scott Air Base Medical Center, the Miami Veterans Affairs Medical Center and the Durham Veterans Affairs Medical Center. In July, 2011 Dr. Grizzard retired from the practice after thirty-three years of practice. Dr. Grizzard’s legacy of high standards, dedication to research and a commitment to providing the highest quality of care possible to patients continues to make Retina Associates of Florida one of the premier retina practices in the US. In January, 2012 Dr. Marc C. Peden joined the practice, bringing his experience in the evaluation and treatment of serious eye disease and the knowledge accumulated from his tenure as an Assistant Professor on the faculty at University of Florida College of Medicine and Director of the Vitreo-retinal Service. Dr Hammer retired from the practice in 2016. As lifelong advocates of research, the practice has been involved in numerous clinical research programs. In the past 25 years, the practice has participated in clinical trials of new treatments for patients with macular degeneration and diabetic retinopathy, retinal vein occlusion and other diseases of the retina and macula associated with diabetes. In the 1990’s the practice was part of a ground-breaking multi-center trial sponsored by the National Institutes of Health related to treatment for Choroidal Ocular Melanoma (COMS study). The COMS study demonstrated the effectiveness of a treatment protocol which allowed patients with a Choroidal Ocular Melanoma to keep their affected eye and have a better quality of life: prior to this time, the only treatment for this condition had been removal of the eye. EVS (Endopthalmitis/vitrectomy study) – demonstrating that treatment for intraocular infections could be treated with a vitrectomy surgery rather than with the traditional treatment using potentially toxic antibiotics, thus avoiding possible exposure to systemically toxic doses of antibiotics. PKC – this study investigated the treatment of diabetic retinopathy using a systemic medication. Eyetech DME & AMD – an investigation of the use of Macugen intravitreal injection for treatment of wet macular degeneration. The results of this study supported FDA approval of Macugen as a treatment for wet macular degeneration. Allergan – to test the Posurdex slow release intravitreal implant for Choroidal Ocular Melanoma secondary to BVO or CRVO. Genentech – this was the critically important study for treatment of wet macular degeneration which supported FDA approval of Lucentis. Sailor – which compared dosing administration for Lucentis. Allergan – the study that was integral in furthering research of edema secondary to ocular vein occlusions. Anchor – a study comparing Lucentis to Visudyne which found that Visudyne was not as effective as Lucentis in treating wet macular degeneration. The results of this study led to the elimination of use of Visudyne for treatment of wet macular degeneration. Alcon I and II – studying anticortef acetate versus Visudyne dosing as a treatment to reduce loss of vision in patients with wet macular degeneration. This study supported FDA approval of the drug Visudyne as a treatment for wet macular degeneration. RASCAL – which studied patients with diabetic retinopathy to develop methods to individualize treatments based on the results from the use of the OPTOS ultra wide field photography system in conjunction with the use of Lucentis. An additional benefit of this study was to establish the efficacy of Lucentis as a treatment for diabetic eye disease. Ophthotech – which studied the use of the adjunct therapy used with Lucentis to treat wet macular degeneration as a way to realize long term benefits for patients with dry macular degeneration. Revolutionary – which compared standard Lucentis therapy to Lucentis treatments based on the results from the use of the OPTOS ultra wide field photography system. This study also addressed the administration frequency and strength of dosage of Lucentis to determine the benefit of monthly dosage at the level of 0.5 mg to PRN dosing at the level of 2.0 mg.
Pfizer – focusing on treatment of patients with advanced dry macular degeneration through the use of multiple escalating doses of the drug RNG6. The practice continues to indentify research projects that may provide benefits to patients with diseases of the retina and macula. Click here for the latest research studies. In the early 1990’s, Drs. Grizzard and Hammer recognized the need to enhance the practice’s focus on patient care and embarked on a program – that continues to the present – to ensure its staff, equipment, patient flow processes and facilities are of the highest quality possible. They called the concept the WOW Experience – stating as their goal that everyone who came into contact with the practice – patients, referring doctors, vendors, staff and others who visited its offices – should walk away saying “WOW, that was a great experience” and would not hesitate to share their experience with others. Since 2007, the practice has conducted semi-annual Patient Satisfaction Surveys to measure the performance of the doctors, front desk, and technicians and to encourage patients to provide suggestions about how the practice could enhance the WOW Experience. Survey results consistently show high levels of patient satisfaction with all aspects of the care they receive from Retina Associates and a high level of willingness on the part of patients to recommend the practice to their friends and relatives. As the practice of medicine became increasingly more complex, Drs. Grizzard and Hammer recognized the value of marketing and business development as a means of maintaining and enhancing the relationships they enjoyed with referring doctors. As a result, a commitment was made to establish an ongoing marketing effort for the practice to ensure information about the practice could be disseminated to the people who needed it most – referring doctors and patients. Believing it was important to be able to communicate directly to referring doctors and patients rather than relying on insurance company directories, the doctors broke new ground in ophthalmology by creating and implementing a marketing and business development program designed to provide education about diseases of the retina and macula and explain treatments available for them. In the early 2000’s, the practice hired its first Marketing Representative whose primary responsibility was to call on referring doctors – in all disciplines – and educate them on the value of referring their patients with diseases of the retina and macula to Retina Associates. The marketing program has matured into a comprehensive effort that includes calling on referring doctors, making educational presentations to doctors and patients about issues related to the treatment of retinal and macular diseases, and authoring and publishing a series of educational brochures to provide education about diseases of the retina and macular and offer insight into treatments available for those diseases. Retina Associates of Florida provides quality, leading edge diagnosis, treatment and prevention of diseases of the retina and macula. Our success is measured by the satisfaction of our patients and referring doctors, the competency of our staff and the recognition by our peers of the value of our efforts in continuous improvement in the provision of care and research.